Glideaway Door Systems provide door solutions for any Residential Commercial and Industrial application. 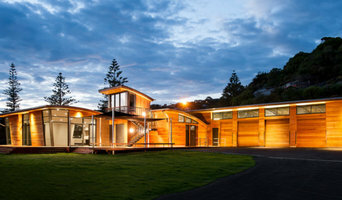 We offer New Zealand's Widest range of door systems to meet any application. Specialist and Custom Made Doors are our specialty. 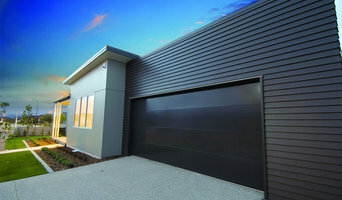 Garage Doors - Roller, Sectional and Shutter doors at wholesale prices. DoorsNZ is primarily a supply only business but we do have contract installers available in many locations. Our business is primarily set up to supply builders, farmers and DIYer's with access to well priced doors at exceptional pricing and this is our core model, if you don't know what you want or need, or are not confident with a tape measure we might not be able to help you. However, we have adapted and can now offer installation if required through contract installers in the larger cities and recommend you contact a handyman type of business in other towns if you need installation. These installers are available to do a check measure if you buy our door but just want reassurance that you have it right, depending on where and when this occurs there may be a charge added to the install for this. As we only work for clients that have already engaged us, you do need to complete the purchase process and deposit the payment before the installer will come out. If for any reason the installer advises not to go ahead, then we will refund you in full. 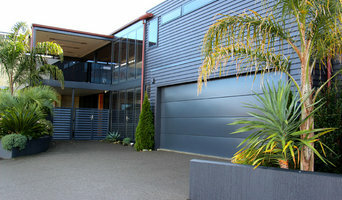 In removing as many overheads and risks as possible, taking full payment prior to production and keeping things simple we are able reduce our overheads and pass the savings back to the customer, therefore we can offer these quality NZ made garage doors at prices that we know you will like. There are no corners cut, these are not imported steel, lighter gauge or anything else other than a quality NZ MADE product. Don’t let your cedar house deteriorate! 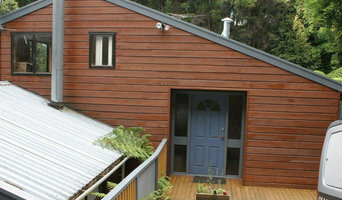 Cedar Doctor is a professional company for providing house renovation services in Auckland, NZ. Cedar Doctor has experienced team of tradesmen to refurbish external cedar cladding, timber decks, garages and entrance doors. They also provide roof painters in Auckland. Egmont Doors provides a large range of specialised and premium quality options for your Garage Door including Cedar, Raised Panel, Ribline, and Flush or Flat Panel Sectional Doors, Roller Doors, Insulated Doors and Automatic Motors.Modern designs and Architectural styles are easily obtained, Egmont Doors excels in providing exactly the product you need at the service you deserve! Automatic Door Services is a family run business - it delivers excellent, reliable 24hr service and cover both domestic to commercial. No job is too small or too large for us to do. All staff have ongoing training and Health & Safety is taken very seriously. Our customer service is second to non with responses from inquiries dealt with quickly and professionally. As North America’s leading residential garage door manufacturer, Clopay has the largest selection of styles and materials available. Our network of professional dealers is ready to help you choose the right garage door for your home. We offer traditional, modern, and carriage house garage doors constructed in steel, wood, faux wood, and sleek aluminum and glass. And since every door is made to order at our Ohio manufacturing facility, you have the flexibility to customize your design with windows, decorative hardware, and many paint and stain colors. 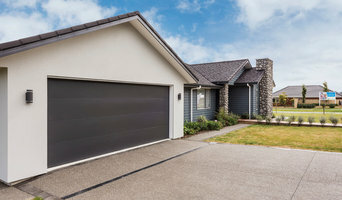 Visit www.clopaydoor.com to find garage doors that fit your home’s architectural style. Use Clopay’s online Door Imagination System to design your door and see how it looks on a photo of your home. Then contact your local Clopay dealer to schedule a free design consultation and purchase your door. Have questions? Call us at 800-225-6729 or chat live with a Clopay representative. Delivering quality since 1976, Cowart Door Systems began a new era in 2000, when the company was purchased by Dave Winship. Dave’s extensive business experience, dedication to quality and his vision are expanding the company into new markets, materials and services while preserving a level of service in the “Old Austin” tradition by which Cowart Door Systems is known. Cowart Door Systems reflects Dave’s passion for supplying quality products and customer service for both residential and commercial customers, including our extraordinary custom garage doors. From repair of your existing garage doors and operators to installing new commercial doors and residential garage door systems, Cowart Door Systems continues to offer the best in service and products. Under Dave’s leadership, we began manufacturing the finest custom wood-on-steel doors in 2001 and we deliver on his promise of quality, value and service. “We work to produce the finest quality and best value custom garage doors for the Texas market.” Many of our clients have been customers for years. We value highly the relationships we have built with homeowners, architects, custom homebuilders and remodelers, business managers and owners, government agencies, property managers and general contractors throughout Greater Austin and Central Texas. Our goal of uncompromising quality and our process of continuous improvement have resulted in custom garage carriage house doors that are among the nation’s finest. Today, we believe we have met and exceeded Dave’s original goal. Even so, we continue to look for improvement opportunities … to stand out from the crowd in quality and value. *Clopay Authorized Dealer* Fixxed Garage Doors located at 12710 Albers St North Hollywood, CA 91607 are happy to offer services to all residential and commercial customers who are in need of garage door repair North Hollywood. When you are looking for a great companion who could assist you in the most professional manner, our experts come to the rescue and offer you the best garage door repair and installation, giving you a piece of mind. We are a garage door supplier with an amazing range of stylish residential garage doors and commercial garage doors for you. Our experts have the ability to deliver custom garage doors so that you can find exactly the right garage door for your property. We also carry a wide range of accessory like garage door openers, springs, garage door replacement parts and more so that you can always find what you need, and our experts always ensure that your new garage door installation job must be done perfectly. In terms of aesthetics, your garage door and roller shutters should complement the exterior of your home, so use coordinating materials and colours. If you’re going to choose a roller door, you will have to stick to steel or aluminium, but will be able to choose any colour for the coating. Part of the secret to great-looking garage doors is the way they harmonise with the rest of the home’s exterior. A garage door manufacturer or designer might be able to collaborate with your home’s architect, designer, builder or other home improvement professional to design a stunning exterior. Here are some related professionals and vendors to complement the work of garage doors: Cladding & Exteriors, Doors, Home Builders, Design & Construction Firms, Artists & Artisans. Find garage door and roller shutter professionals on Houzz. Narrow your search for garage door professionals by selecting the nearest city or postcode. Look at portfolio and product photos, and read reviews to find the best garage door professional for your home.